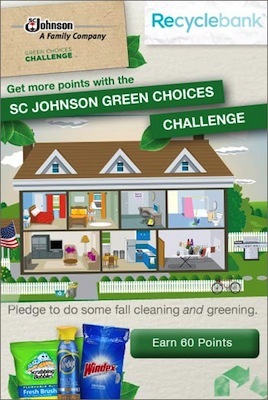 It’s almost September, and that means another month of the SC Johnson Green Choices Challenge is open on Recyclebank! This month is all about getting your fall cleaning done that can help make the planet greener. You can earn up to 60 points! Visit Recyclebank’s interactive, eco-friendly home. Find the 6 helpful green tips (2 are hidden). 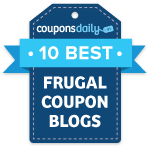 Pledge to make these tips part of your daily routine. You’ll earn 10 Recyclebank Points for each.